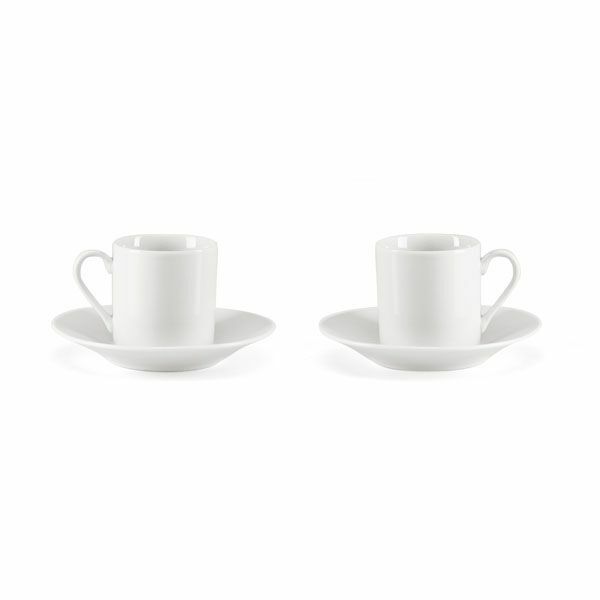 The set contains two espresso cups and two matching saucers. 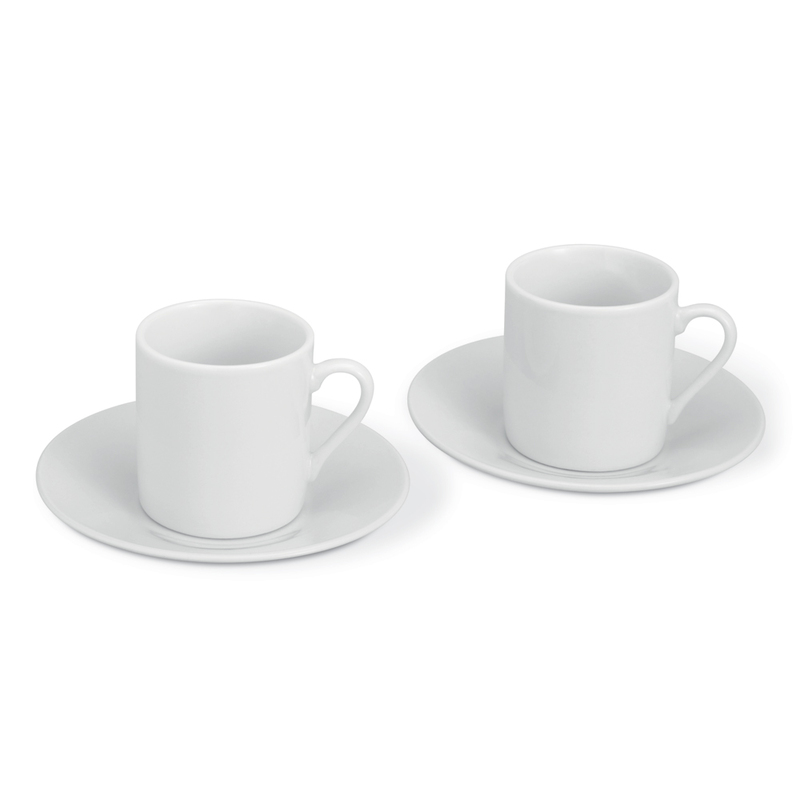 These are small espresso cups perfect for espresso coffee and can be used with most coffee machines. 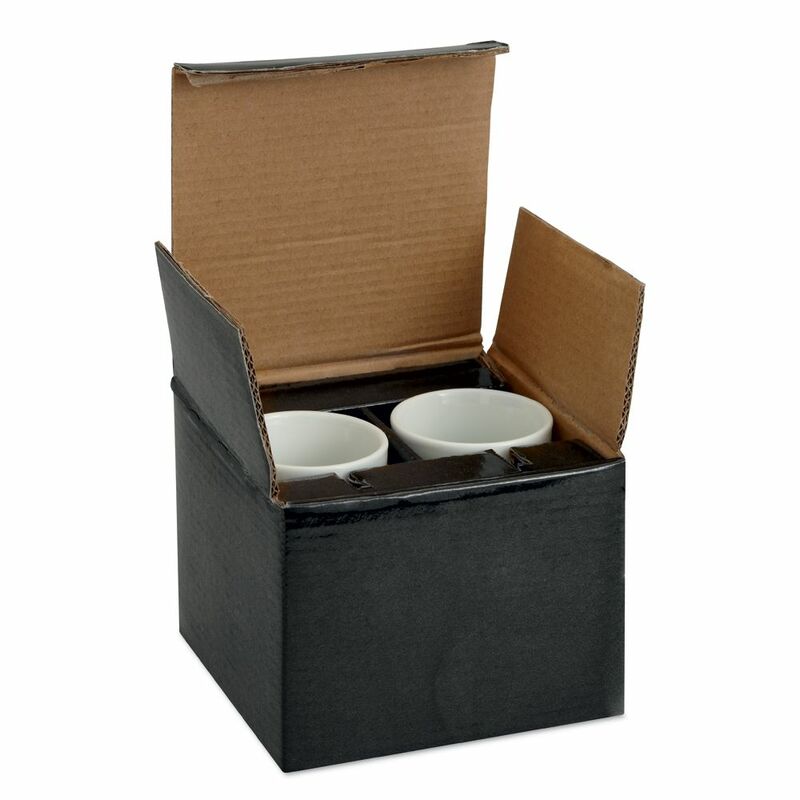 The coffee cups hold up to 50ml approximately.